New S40 Sedan and New V50 Wagon Designed To Express Power and Performance! Volvo Car Corporation has been judged as overall "Best Manufacturer" in the first British Insurance Car Security Awards (BICSA) presented by Home Office minister, Hazel Blears MP. 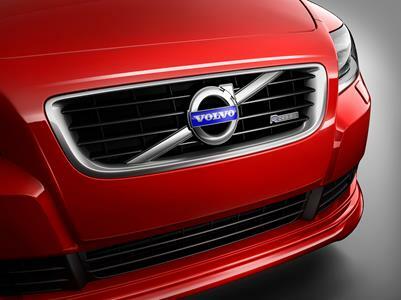 The all-new S40 is expectedly as safe as a Volvo. Interior design is revolutionary. Performance is impressive. The new S40 is everything but stereotypical. From the front doors forward, the new Volvo V50 wagon is nearly identical to the S40 sedan. From the front doors backward, the V50 is a tale of two body styles. Volvo Car Corporation is now releasing the first photographs of its all-new sedan in the compact segment, the Volvo S40.